Do you know how to recruit developers, build a hackathon, talk to the right analyst, build a marketing strategy, attend the right conference ? It’s just out! 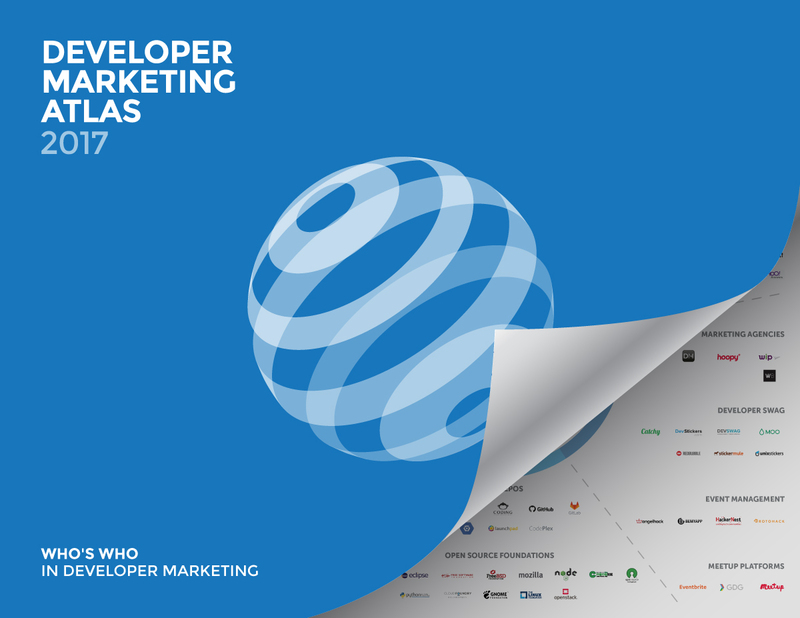 Our Developer Marketing Atlas 2017- the who’s who of developer marketing from Conferences and Events to Media, Accelerators and Developer Swag. The map includes 17 categories and 169 companies in total. The Developer Marketing Atlas is the result of collaborative work from a long list of contributors in the developer marketing ecosystem. Did we miss a company or category? You can also order the Developer Marketing Atlas wall-chart here.